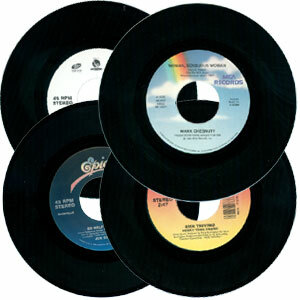 45 rpm records are sold in special close-out lots consisting of Country, Pop, and/or Oldie Goldies. The 45’s listed individually on Jin, Swallow and Maison de Soul record labels are NOT included in the “lot” orders. If you are interested in any of those titles, you must purchase them individually. We reserve the right to fill bulk orders as we see fit, although we will do our best not to send any duplicates with your order. If you do re-order at a later date, however, duplicates are possible. Sorry, no exchanges or refunds. Copyright © 2018 Swallow Publications Inc.